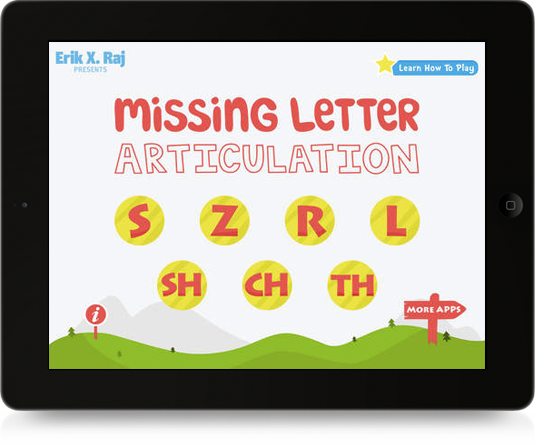 Missing Letter Articulation is an interactive app for your iPad, iPad mini, iPhone, and iPod touch that features over 1,000 sound-specific articulation word puzzles (words that are missing one letter). 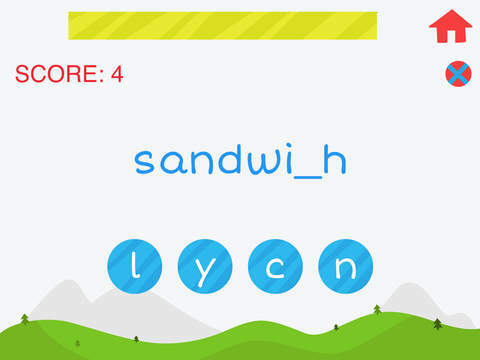 Your goal with these word puzzles are to figure out which letter is missing before the timer runs out. 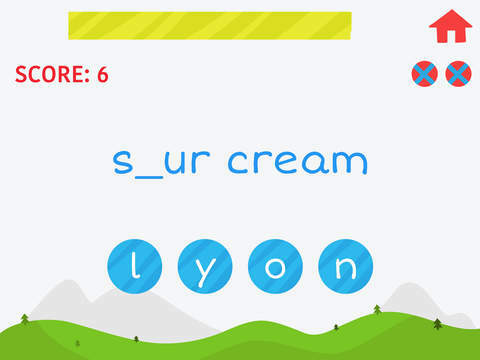 These word puzzles were designed for speech-language pathologists to use with individuals who exhibit difficulty producing the following speech sounds: S, Z, R, L, S/R/L Blends, SH, CH, and TH. Tons of words: with just a tap of a finger, children and clinicians can solve over 1,000 sound specific articulation world puzzles that are perfect for the speech therapy setting. 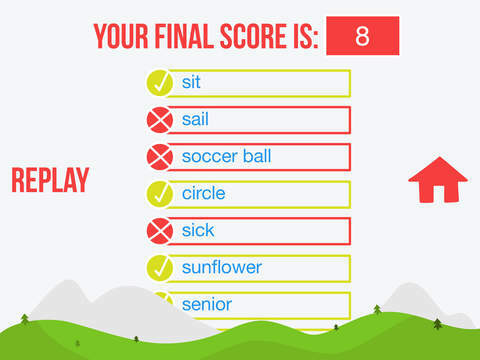 A tricky timer: the clock starts off slow, but each time you get a point, that timer gets a bit quicker. A wonderful review screen: after each round, enjoy viewing and reviewing all the articulation words to help strengthen pronunciation.